Chinese food is one of the most common foods that you will find the use of MSG, or monosodium glutamate. MSG is a chemical additive that enhances the flavor of foods. It is also commonly found in canned vegetables, canned fruits and TV dinners. The use MSG has been controversial for years and has received restrictions of use from the FDA, according to MayoClinic.com. If you develop a rapid heart rate from eating MSG in Chinese food, you need to call your doctor immediately. A rapid heart rate is a sign of a severe allergic reaction called anaphylaxis. MSG has been a controversial chemical food additive for years. Insufficient research prevents a ban on its use, according to MayoClinic.com. The FDA has classified the chemicals as generally safe for human consumption, but it is still under investigation. The FDA requires the use of MSG to be stated on the product labels. Because Chinese food is not pre-packaged, a label is not required. You will need to ask the server at the Chinese food restaurant whether or not MSG is a common ingredient in the food. 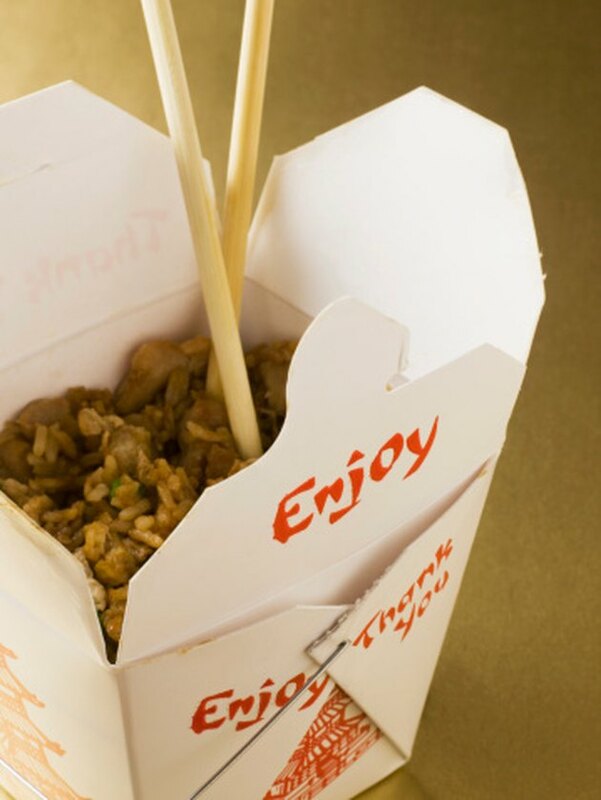 MSG can cause an allergic reaction or intolerance. Testing will be needed to confirm an allergic reaction to MSG. Because an MSG allergy and intolerance cause similar symptoms, allergy testing will be used to determine whether or not your body produces immunoglobulin E antibodies, or IgE. These antibodies are specific to allergic reactions that could lead to further complications. If you have an allergy to MSG, your immune system overreacts to the chemical because it doesn't recognize it. The body will attack the MSG and trigger the creation of various chemicals, causing most symptoms. A rapid heart rate is a concerning symptom. A rapid heart rate along with a faint pulse, lightheadedness, dizziness, hives, facial swelling and nasal congestion is a sign of anaphylaxis. During anaphylaxis, your entire body experiences an allergic reaction that can cause your body to experience a state of shock. This may lead to life-threatening symptoms that may require an injection of epinephrine, according to Medline Plus. MSG intolerance differs from an allergic reaction because it is the result of the digestive system not being able to process the chemical. This can lead to various symptoms, such as tightness in the chest, headache, sweating, burning in the neck, nausea and facial pressure, according to the American College of Gastroenterology.